Hyderabad (PTI): Set to regain his place in the World top 10 after winning back-to-back titles, Kidambi Srikanth has now trained his eyes on the prestigious World Championship crown. The 24-year-old Indian, who won the Indonesia Super Series Premier and the Australian Super Series titles, said he will play to win at the World Championship in August. “It is good to be back in top Ten. But, I did not play this tournament to be back in Top Ten. But, I played to win it,” Srikanth told reporters on his return to Hyderabad. “Even the World Championship, I will definitely play to win. That is the only thing I am thinking about, not the ranking,” he added. Srikanth, who bounced back from an ankle injury, expressed happiness over his success in the last few weeks. “The last two weeks has been fantastic. Not only for me, but for H S Prannoy and Sai (Praneeth) also. Prannoy has done really well beating Chong Wei and Chen Long in successive matches which never happened before,” he said. It was just after the Rio Olympics when he had suffered a stress fracture in his right ankle, an injury that took three months to heal, leaving him on the sidelines for the entire second half of last season. Srikanth said he did not want to push himself much immediately after the injury. “After the injury, I did not want to push myself so much. I only wanted to train first, get better and then start tournaments. I think with the help of Gopi Sir (Chief National Coach P Gopichand) and our new coach, it really happened for me,” he said. 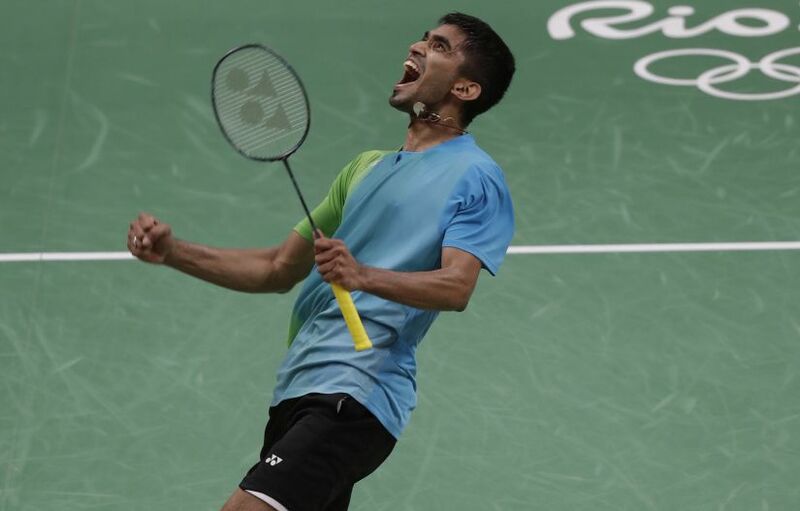 Srikanth thanked Gopichand, the Badminton Association of India and the Government for their support. Prannoy, who beat a few top players in recent tournaments, expressed happiness that Indian players have done exceptionally well in keenly fought tournaments. “I am really glad that badminton is growing in popularity and glad that I am a part of that. I just hope that we can produce even more better results in the coming days. “We need to be much more consistent. This is not the end. Let us hope there are three or four in the top ten in the next couple of years,” he said. Singapore Open champion Sai Praneeth, who was also present on the occasion, hoped to do well in major tournments like World Championship and Olympics. Gopichand, who mentored the young players to reach the top, expressed happiness over several players doing well and hoped that the performances of Indian shuttlers would improve further in the coming days. Though the success of Srikanth and other shuttlers can be compared with the top tournaments in Tennis like the US Open, he said there is still a lot to be done to put India ahead of others in World Badminton. “There is still a lot to be done before making big statements,” he said.